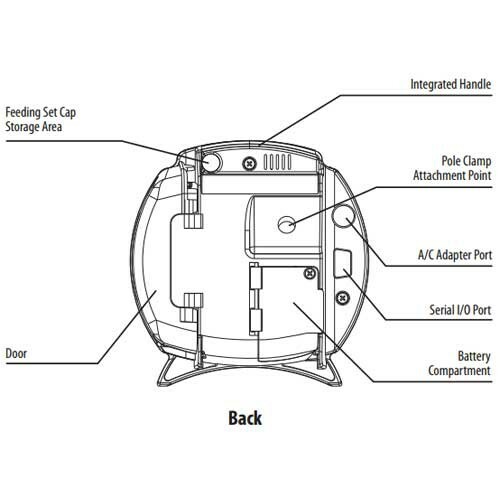 Includes ePump, Battery, Pole Clamp, Power Cord, One Year Warranty - SHIPS FREE! 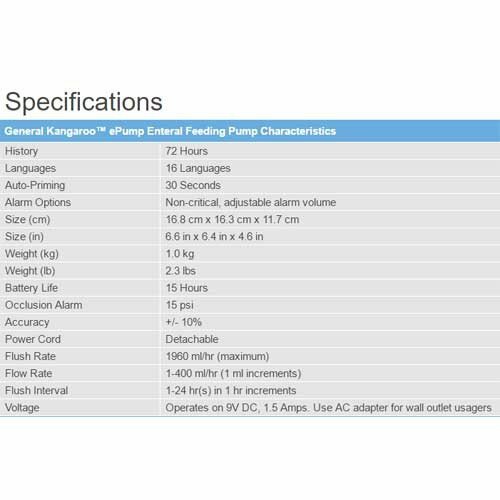 Covidien Kangaroo ePump Enteral Feeding Pump, formally under the Kendall brand, is for people who require nutrition through continuous feeding, intermittent feeding or feeding and flushing. The Covidien ePump delivers it all in one compact, simple-to-use, precision enteral feeding pump. 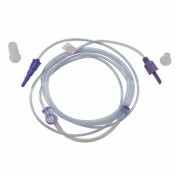 Easy to program, this Feeding Pump can also be used with Enteral Feed Flush Sets to provide automatic flushing. 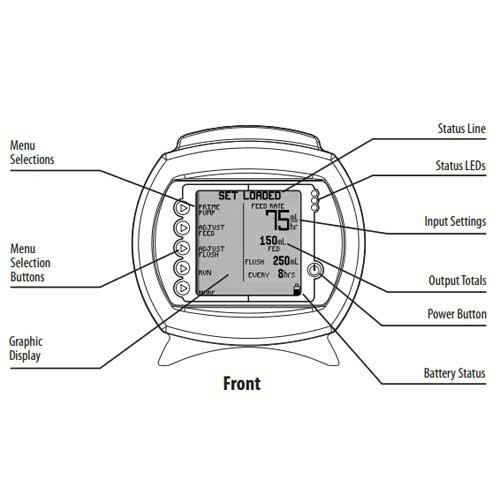 A Five Button Interface walks the user through the programming process while an alarm identification system quickly resolves any problems that may arise, resulting in a smooth and stress-free user experience. 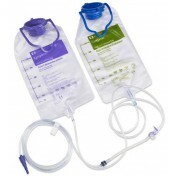 The Kangaroo ePump Enteral Feeding Pump is the latest innovation in enteral feeding. 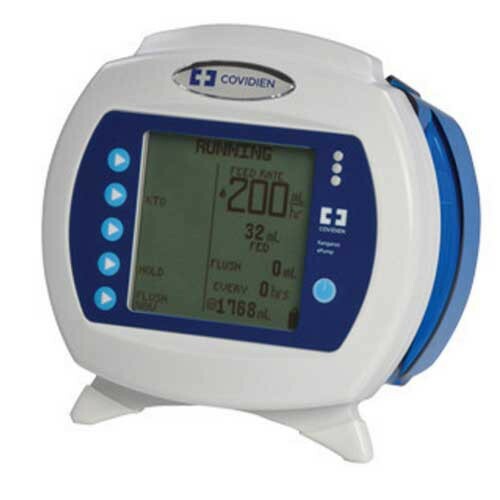 The Covidien ePump gives you the ability to accurately track the amount of formula and fluid delivered to a patient ensuring the prescribed formula and fluid is received by the patient. When patients require nutrition through continuous feeding, intermittent feeding or feeding and flushing, this feeding pump delivers in one compact, easy-to-use device. The Kangaroo pump is for adults; the Joey pump is for youth. Can we use Clorox Healthcare Disinfectant Wipes to clean this pump? Thanks! We can't make any recommendations as far as how to clean products. It's best to contact the manufacture for details on cleaning instructions. We purchased a Kangaroo pump with the understanding it could be returned if it didn't meet our needs. We would never have spent that much money if it wasn't able to be returned. After the Kangaroo pump arrived we discovered that the pump was not compatible with the feeding tube food we were using. When we found that it wasn't compatible with the food I called and talked to a representative about returning it. She was very polite and told us she was sorry it didn't work out for us, she understood and led me to believe it wouldn't be a problem to return. I believe it was a couple days later we were informed that it couldn't be returned because we had used it. How else would we have known they were incompatible without trying it out? if you are considering using a "real food" feeding tube formula you may not be happy with this product. This is compact and easy to use. I am new to all of this enternal feeding stuff and like that it is simple and provides the alarm if there is an issue. Vitality Medical provided great customer service and was able to answer most of my questions.